Jeremy Corbyn has today written to Theresa May calling on her to rule out ‘no-deal’ Brexit. In the letter, the Labour leader says he is “open to meaningful discussions”, but makes clear that they cannot take place on the basis of May’s “existing red lines”. Corbyn argues that “no tweaks or further assurances” will win May’s Brexit deal the approval of MPs. “I am disappointed that there have already been several briefings in which you continue to rule out a customs union,” he writes. 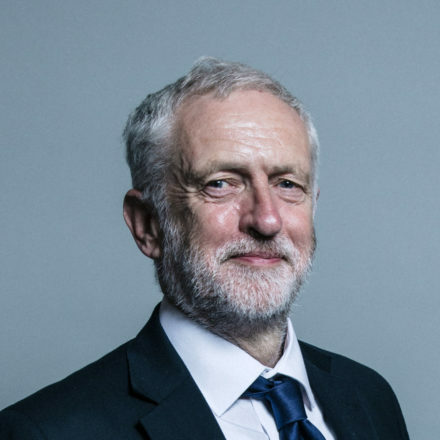 In his Hastings speech on Brexit today, the opposition leader confirmed that his priority – the “first option” on the table mentioned in the conference composite motion – is to support a deal that aligns with Labour’s alternative plan. Below is the full text of Corbyn’s letter. I am writing to follow up on my statement in the Commons last night on a point of order. I wish to reiterate the points I raised at Prime Minister’s Questions and to formally set out the position of the Labour Party. We are firmly of the opinion that the starting point for any talks about how to break the Brexit deadlock must be that the threat of a disastrous ‘no deal’ outcome is ruled out. That is the position that Labour set out in our 2017 manifesto, at our 2018 party conference – and that we have consistently adhered to throughout. I note that it is a position shared by all the opposition parties, including the DUP, and is the expressed will of Parliament. If you are serious about reaching a deal, then ‘no deal’ must be ruled out. After the unprecedented and unnecessary delay to the meaningful vote last month, entering into talks while the clock continues to run down, and the threat of a chaotic ‘no deal’ increases, would be a reckless leap in the dark. The Chancellor and the Business Secretary were both open to ruling out ‘no deal’ in the recent conference call with business leaders. Therefore, on behalf of the Labour Party, I ask you to rule out ‘no deal’ and to immediately end the waste of hundreds of millions of pounds of public money preparing for a ‘no deal’ outcome. The £4.2 billion currently allocated to ‘no deal’ planning could significantly improve many of cash-starved public services on which people rely and could transform the lives of those struggling on Universal Credit. Labour is open to meaningful discussions. But following the decisive rejection of the government’s deal by MPs on Tuesday, those cannot be on the basis of your existing red lines. It is clear that no tweaks or further assurances are going to win support for the government’s Brexit deal in Parliament. We have set out an alternative framework for a better deal: based upon a new comprehensive UK-EU customs union; a strong Single Market deal; and guarantees that there can be no race to the bottom on rights and standards. That is the consistent position that Labour has outlined over the past year. I am disappointed that there have already been several briefings in which you continue to rule out a customs union. A new customs union is part of a solution favoured by most businesses and trade unions, and one that I believe could command a majority of the House of Commons.